For many Indian Nationals the EB-5 visa program is the fastest route to a "green card". In return for an investment of either USD 500,000.00 or USD 1,000,000* an Indian investor, their spouse and children under the age of twenty-one can receive permanent residency in the United States. Recognized as the leading US law firm involved in the Indian EB5 market, D&A are well versed in the special considerations facing Indian EB5 applicants. Obtaining the right impartial advice is critical. A EB-5 visa attorney experienced with assisting Indian EB-5 visa applicants can seamlessly guide investors through these issues. Through our global network D&A successfully represents Indian National EB5 and investor clients from across every corner of India, Dubai, Singapore, Thailand, Japan, UK, Australia and Canada. We frequently file cases for clients from Delhi, Mumbai, Pune, Bangalore, Chennai, Calcutta, Gujarat and Punjab. Every EB-5 Investor has to make a decision whether to apply for their EB-5 based “green card” through the Regional Center or Direct program. In our experience many Indian investors confuse the concepts of risk and control when making this decision. While the Direct EB-5 Program allows an investor to invest in their own business a direct investment can be higher risk than an EB-5 Regional Center based investment. More on choosing between a Direct vs. Regional Center EB5. A direct EB-5 application allows an Indian investor to make an investment in his or her own business. With approximately 90% of all EB-5 investments being made through the Regional Center program very few law firms have any experience with Indian Direct EB-5 applications. Davies & Associates assists investors from across India start and invest in private businesses in the United States. 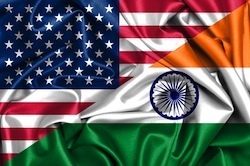 Our firm has assisted Indian clients from every region of India open, expand and acquire EB5-qualifying businesses in multiple and varied industries across the United States. 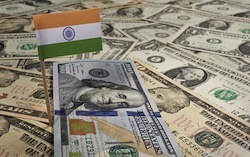 Davies & Associates represents investors from across India start and invest in private businesses in the United States. Our firm has assisted Indian clients from every region of India open, expand and acquire businesses in multiple and varied industries across the United States. More on making a direct EB5 Investment. I-829 approvals extending across multiple projects with no project-related denials. With over 600 Regional Center registrations it can be difficult to select a Regional Center. Click here for more information on selecting a Regional Center." The RBI promulgates rules that allows Indian Nationals to remit funds out of India. Over time these rules have become more and more complex. Under LRS, the RBI allows Indian Residents to remit funds abroad up to a notified limit without prior permission from the RBI. However, many investors do not understand that it is not as simple as being allowed to transfer the applicable allowed amount each Indian tax year, additional restrictions apply. With penalties for failure to comply with these extra restrictions reaching 300% of the amount transferred expert advice is required. Over recent years the RBI has varied the amount of capital resident Indian Nationals are allowed to remit outside India using the LRS. The RBI LRS limit currently stands at USD 250,000.00 per person per Indian tax year. In July 2015, the RBI issued a circular purporting to severely restrict the ability of Indian nationals to remit funds outside of India to make an investment that qualifies that investor for Emigration purposes. In February 2016 the rule against emigration was changed, however investors need to carefully structure their funds before remitting them abroad. A link to the most recent published version of the RBI regulations is available on our firm's website . While we are a US immigration law firm our firm consists of dual qualified counsels who assist our clients transfer funds for EB5 and L-1 investment purposes. 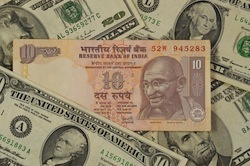 Click here for more information on moving funds out of India . Before making any investment in the United States we strongly encourage Indian Nationals to take appropriate tax planning advice. Failing to do so can result in hundreds of thousands of dollars of unnecessary tax liabilities. An experienced tax advisor should be familiar with the terms of the dual taxation agreement between the United States and India. Davies & Associates focuses on making the transition to the United States as smooth as possible for our clients and their families. Making an EB-5 investment is a complex matter involving the analysis of myriad laws and regulations. Unfortunately non-lawyers are not qualified to provide this advice and it is a criminal offense in the U.S. for them to attempt to do so. Similarly many lawyers lack the sophisticated lending law and project finance experience to properly advise clients on EB-5 applications. This can result in an unmitigated disaster in which clients loose all of their money. A properly qualified and experienced EB 5 immigration lawyer can guide you through and avoid many of these risks. To date no application filed by our firm has ever been denied and no client of our firm has ever not been repaid their investment in full. Your application MUST be filed in the United States where it can be the subject of questions and processes that a U.S. based law firm can address for you. All EB-5 Petitions are currently processed in Washington DC. For this reason, D&A maintains a presence in Washington DC where we have experienced an experienced EB5 professional who interacts with the US government on behalf of our clients. Once your application has been approved in the U.S., applicants resident in India will be required to attend an immigrant visa interview at a consulate in India. All consular immigrant visa interviews in India are either in Mumbai or Delhi. D&A maintains a presence in both of those cities and provide direct on-the-ground assistance to our clients. Because Davies & Associates are based across the U.S. with capabilities in India we are uniquely positioned to assist our clients.